AUSTIN — Over previous seasons Texas hasn’t been affected by the targeting penalty. Yet, before the 2018 season begins it already has. After being ejected in the victory over Missouri in the Texas Bowl for targeting, senior linebacker Anthony Wheeler will miss the first half at Maryland. Wheeler is most likely the starter at the Mac linebacker spot in defensive coordinator Todd Orlando’s defense, but he won’t be for the first half. 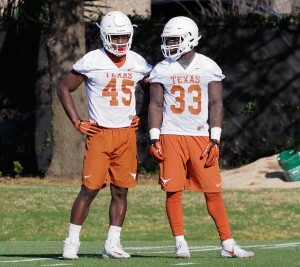 That’s a tough pill to swallow not only for the Texas defense, but for Wheeler as well. The senior from Dallas has played in 33 games during his Texas career, but there was always an adjustment for him. During his high school career at Skyline, Wheeler transitioned from edge defender to a more traditional linebacker role. 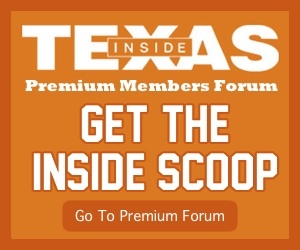 At Texas, he was asked to be a middle linebacker full time. Although his best statistical season was his sophomore year, Wheeler said the game slowed down for him last year thanks to the help of Orlando. Despite improving his players’ game, Orlando still has a considerable amount of work to do. Linebacking depth is likely the thinnest of any position on the team. Gone is senior Edwin Freeman to Florida International. Junior Demarco Boyd’s status for Maryland is unclear after being charged for assault. So what will happen when Wheeler is out for those first thirty minutes? “Anybody in that room can take that role in that first half in that spot,” Wheeler said. With Wheeler’s suspension, he might have to become a good college linebacker quickly, and Wheeler is helping make sure he gets there. Two juniors also could play in Wheeler’s stead for the first half of Maryland, Jeffrey McCulloch and Malcolm Roach. Roach, over his two plus years on campus, has changed positions several times. He was a linebacker his freshman year in 2016, a defensive lineman last year, and has moved back to linebacker this year. He can play all three linebacking positions in Orlando’s defense, and when senior Gary Johnson was out during the spring, he worked at all three. He believes his ability to do it all can only help the team. Despite all this fluctuation, there is a mainstay at one of the two linebacker spots in the middle of the field; Gary Johnson. Johnson is all but assured to be the first string Rover at Maryland. 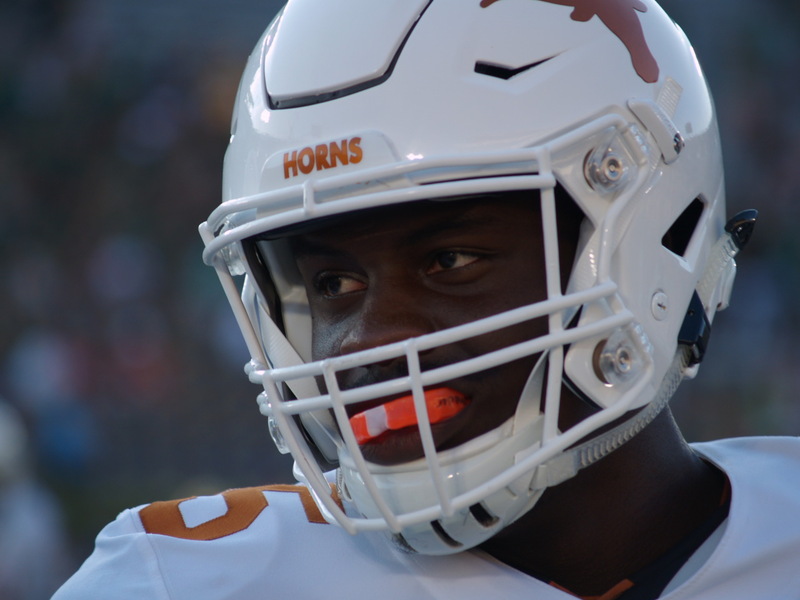 His ability last year to play fast and use his athleticism already has many Texas fans thinking this could be an even bigger year for Johnson despite his solid 2017. Last season, Johnson totaled 57 total tackles, six tackles for loss, and two sacks. While he stated Thursday he could play both of the positions in the middle of the defense, he enjoys what he’s able to do at Rover. Johnson already has a good amount of pre-season hype about him. He was named to watch lists for the Bednarik and Butkus Awards, and has constantly earned the praise of the coaches during his short time at Texas. His teammates even know how important his play is to the team. With all the constant change and mixing and matching at linebacker, Orlando made sure to train players at multiple positions during the offseason and will continue to do so during fall practice. According to one of the players who can play multiple spots on that defense that will only make things harder for opposing offenses.